I got an awesome email this week. I won the new Starbucks Verismo System. Have you seen it? You can make Starbucks coffee right from your kitchen – just like the baristas do in their stores. Very excited to try it! Thought we should celebrate with a little Giveaway because I knew you’d like that! This giveaway will end on November 9, 2012 at midnight EST. Winners will be drawn via rafflecopter. Once a winner is drawn I will contact them and they will have 48 hours to reply before I draw a new winner. Giveaway is open to anyone in the US/Canada and you must be 18 years of age or older. Giveaway not affiliated with Facebook & I release them of liability. Winner will be posted in the rafflecopter widget. Happy Birthday to me! 3 Winner Giveaway! I make coffee almost every day. Starbucks is a treat. i always go to starbucks for my coffee! I don't drink coffee, but I love the chocolate banana smoothies at Starbuck's. No flippin' way!!!!! I am so happy for you! I am a huge Starbucks fan and it makes me so happy to know that someone I really like a lot won this. You do so much for so many and i am just thrilled that this came to you. Enjoy it. I dont normally drink regular coffee but I sure like having specialty coffees from starbucks! lOVE STARBUCKS AND MY COFFEE POT STINKS AND THAT'S NO JOKE. Love the Starbucks Verismo System!! And I adore Starbuck's Chai Latte! Just have a standard cheapie coffee maker at home. Don't like coffee and don't have a maker. I like chai tea. Thanks for the contest. I'm so happy YOU won something. I read about this new machine and thought it sounded great until I realized it was a system based off of something like Keurig's K-cups. I'm thinking that would still be pretty pricey. I hope you do an informational write-up/review after you've used yours for a couple of months. I drive to get a latte every morning. Thanks for the opportunity! We have a regular drip coffee maker ... it's okay! So, once in awhile, Starbucks is our treat! Thanks for the opportunity! We have a coffee maker at home. Starbucks is a special treat for us. Thank you! Lucky!! I'm jealous. :) That looks awesome! Seriously though, congratulations! I have been trying to win a Keurig for the longest time! i have a Keurig for single cups and a Gevalia for those all-nighters. I am just now figuring out how to optimize my giveaways. The way you set it up is fantastic. Thanks for doing it the best way. Also, I have the same share widget you do on your site on mine. I have customized it a bit. If you'd like to see how I did mine, please drop me a line anytime. I do not have any coffee maker at home so I go to Starbucks just about every day. Regular coffe maker with cheap dollar store coffee... starbucks is a HUGE treat! Sears tea drinkers, but we have a beautiful tea pot. I'm half and half. We have a decent home coffee maker, but I'm still at Starbucks at least once a week! I'm not a coffee drinker, but I am totally addicted to the Starbucks Salted Caramel Hot Chocolate! I've got a standard coffee maker, but I wish I had a French Press Pot because the coffee tastes so much richer. I have a coffee maker at home, but not one that I can make great coffee like Starbucks! There's a Starbucks near where I work, so I often stop in after work for a "pick-me-up"! Yum!! we have a Keurig, but we still love starbucks! I buy Starbucks beans to brew at home. We have a lw-tch Proctor Silex, but it makes good coffee. We like Starbuck to. I love to take a coffee break and stop by Starbucks! We have a french press because we rarely drink coffee. Gets used more often for thai tea and still then, only a few times a year. I have a coffee maker at home but I do splurge occassionally at a coffee shop! we drink coffee at home and at 'bucks. I don;t have a good coffee maker at home but I practically live the stuff. I have starbucks coffee i make here. 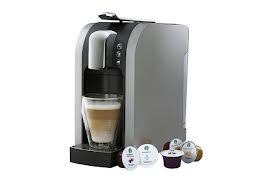 Wehave a Keurig but I want to win this for my husband...he loves coffee and I want to surprise him with this. I have a Keurig at home but like to treat myself to Starbuck's every once in awhile. We have a coffee maker at home and just go to Starbucks for a treat. Both I go to Starbucks and have coffee at home. My coffee maker is fine, but I prefer to go to Starbucks. We recently got a drive-thru Starbucks in our neighborhood so I've been going there quite often! I also like to make the Starbucks K-cups! I do have a great coffee maker at home, but I like Starbucks too. i had a keurig, but it got recalled, so now im using a cheap one i got at dollar general until my keurig comes home....LOL. i do have a french press, but id rather just get starbucks! I have a french press but I like Starbucks for a treat! I have an ok coffee maker but like a coffee treat from time to time. I really want a Keurig for my home but for now I get my hot drinks out accept tea. Thanks! Now I want the Starbucks Verismo System. This would be heaven too :)! I like going to Starbucks for the flavored coffee/drinks. I have a regular old Mr. Coffee coffee maker. LOL You are so lucky! I have to go to Mcd's or Startbucks when I want some good coffee! I rely on Starbucks, as i don't have a nice one at home. I actually don't drink coffee at home, basically when I got to other's houses, or Starbucks! I have a Keurig, and I love Starbucks if I'm out and about! I have a coffee maker at home, but I do looooove the occasional Starbucks drink :-) Thanks! We have a plain ole coffee maker at home. I just bought a new coffee maker after our old one broke. It was an upgrade, but we think the cheap one worked better. I rely on Starbucks. Love the mochas! I have black coffee at home, which can get boring. Congrats! What an awesome win. Thanks for sharing! I do coffee at home, but a couple of times a week I go out to get coffee with friends and love Starbucks. Their Clover coffee is amazing! I don't do coffee but I love the Strawberry Frape's at Starbucks. We've got a Tassimo, but we don't use it a lot because it's a pain to get cups. Hi! Congrats on your wonderful win! I also entered that but no win. I saw the machines at Starbucks they are beautiful, enjoy! I have to rely on Starbucks every month or so when I can afford a latte. Thank you for the chance. I have a good coffee maker at home but sometimes I like a really good treat from Starbucks. I don't have a coffeemaker at home. There's a Kurig in the house but I love me some Starbucks. I have a Proctor Silex pot, but I still like Starbucks. I make coffee at home, but love to splurge on Starbucks! I have a regular coffee machine... I love espresso!! Thanks for the giveaway! We love Starbucks but only get it on special occasions or if we have a gift card! I'd love to win this gift card for my sister, who loves Starbucks. My coffee maker broke in a recent move, so I have to rely on Starbucks for now. We have a nice coffee maker, but Starbucks is just someplace you gotta go. Yes, we have a keurig...but that doesn't stop be from frequenting Starbucks! I have a Keurig at home. Love it!! I love the seasonal blends at starbucks- totally waiting for peppermint mocha! Love BlackRock; no Starbucks for me. I have a good one. My husband likes starbucks sometimes on the go. I wish my coffeemaker brewed hotter. both! i love my kurieg but i love my starbucks more! I don't drink coffee, but I love the peppermint hot chocolate at Starbucks. I have a good one, but stop at Starbucks when doing errands. Like to have coffee at Starbucks with friends! We have an espresso machine at work. That's where I usually get my coffee. Thanks for the giveaway. I stop by Starbucks when I am needing some coffee. I have a coffee press that is from Starbucks. I don't have a good coffee maker at home and can't afford Starbucks. Ha! I rely on Starbucks lol! We have a maker at home but I love Starbucks Frappes! I have a nice coffeemaker at home but LOVE Starbucks when I'm out. I drink tea and it is better from starbucks than homemade! I rely on Starbucks for all of their fancy drinks. I just had a baby and haven't had a chance to get Starbucks in weeks - a mocha sounds amazing! I got to starbucks about once a week for a special drink but usually just do regular coffee at home. i only get starbucks on special occasions i do have a brewer at home that gets used daily! I do both as I have a Keurig at home. I make my own coffee at home but I'd rather have Starbucks! Both - but Starbucks is always better! I have to admit I rely on Starbucks!